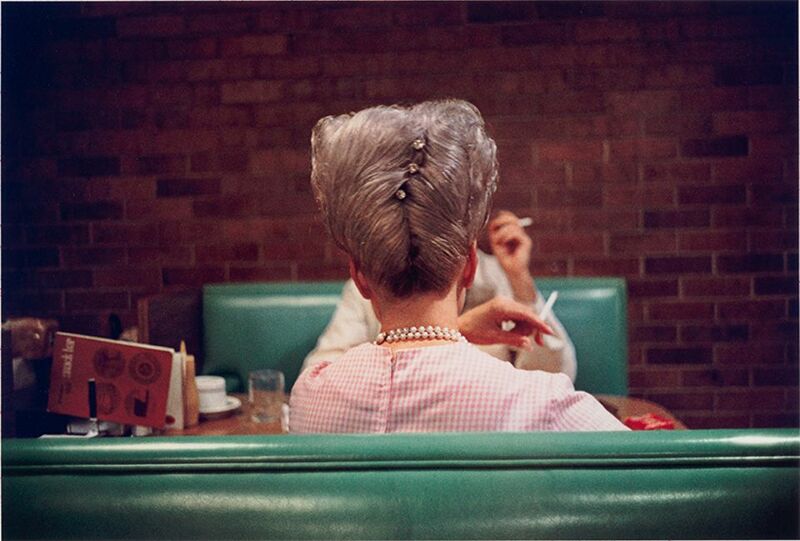 This is the last weekend to view the saturated, quotidian glimpses of America(na) in The Metropolitan Museum of Art’s exhibition William Eggleston: Los Alamos (until 28 May). The show is named for Eggleston’s 75-work portfolio of dye transfer prints from photographs taken between 1965-74—never before shown in its entirety in New York—given to the museum by Jade Lau. From the artist’s first colour photograph, Untitled, Memphis (1965), a close-cropped frame of a young supermarket worker in the Tennessee city pushing a group of shopping carts, the photographs are complex and resist simplistic readings, rife with issues of race, class and consumerism. Also included in the show is a smaller display of Eggleston’s black and white works, made at the same time as Los Alamos, but exhibited less frequently. The exhibition might induce wanderlust for a southern, summer road trip like the ones Eggleston would take with the curator Walter Hopps and fellow photographer and actor Dennis Hopper, the source of many of these images. Finished and unfinished, full length and fragmented, the films of the late Austrian artist Maria Lassnig are newly restored and on display, many for the first time ever, at MoMa PS1. Maria Lassnig: New York Films 1970-80 (until 16 June) includes live action and documentary footage as well as animated paper cut-outs and drawings recorded on 16mm, 8mm and Super 8 film cameras during the pinnacle of New York’s downtown experimental film scene. Soul Sisters (1972-76) is a filmic series of portraits within the show focussing on the female friendships of Lassnig, who was lauded as a feminist artist and involved in the Women Artist Filmmaker collective alongside peers such as Martha Edelheit and Carolee Schneemann. Other themes Lassnig explored throughout her career include timeless (and timely) questions of technological advancement and image circulation, the boundaries between public and private space and “body awareness”.